These days. My typical Tuesday, to do all my shopping in one fell swoop. 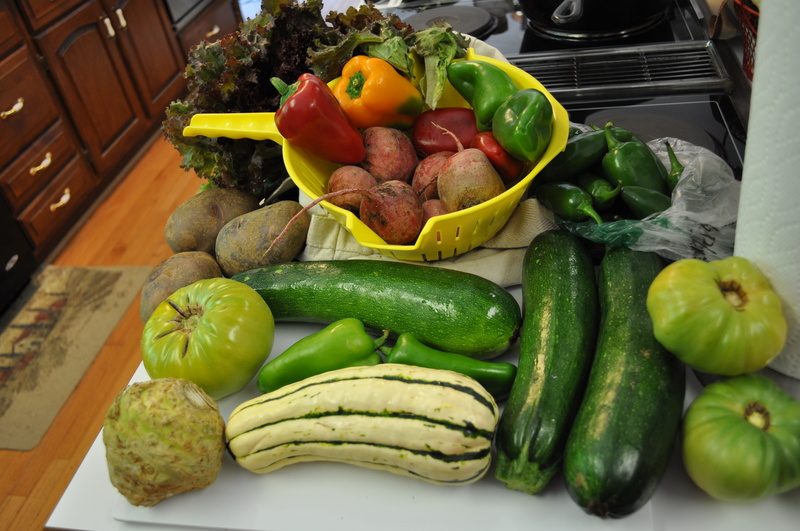 Pick up the Community Supported Agriculture (CSA) share. Lancaster Farm Fresh. An Amish cooperative of over 100 farmers. Organic for the price of conventional. We are in the last third of the summer season. Getting ready to sign up for the eight week fall extension. Figuring out what to make with what we got. Thinking about stuffing peppers. 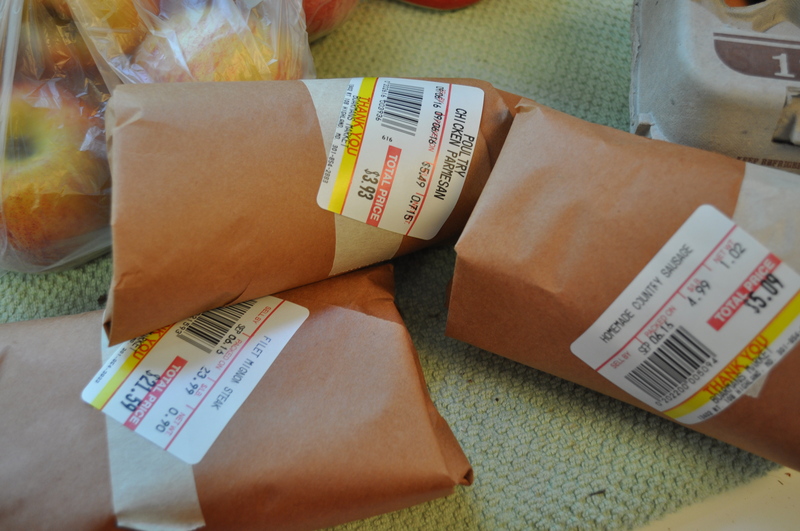 Heading off to Boarman’s market to finish my shopping. Those back roads from Braeburn to Hall Shop to Highland. Picking up the proteins that now replace what I used to get from Friends and Farms. Sausage for stuffing. Filets for a date night dinner. Chicken breasts for tomorrow. Finding local eggs there since there are no eggs left in the house. 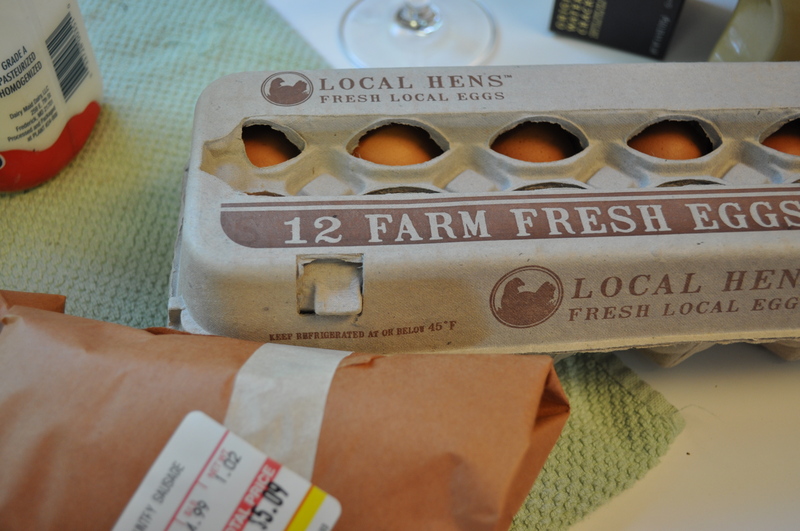 So much of what we eat now comes from the local sources and the small businesses around here. Not a bad way to shop. The best part of these pick ups? 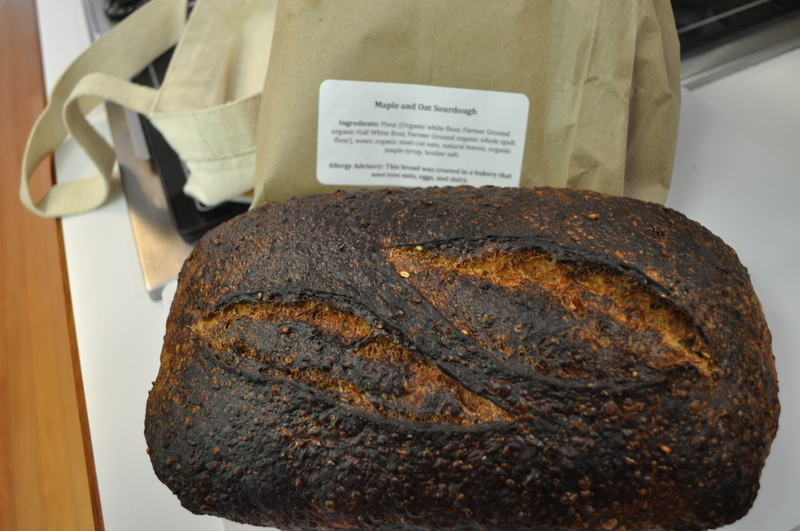 That amazing bread from She Wolf. A real highlight of our CSA. Maple and Oat Sourdough. Posted in CSA, Food, LFFC, Locavore and tagged CSA, Food, foodie, local businesses, Locavore, real food, value of CSA. Bookmark the permalink.